I posted this on IG already because I was too excited! I seriously could not get enough gradients. And, I did not even have to think about what colors to use! The two blues were sitting next to each other, looking perfect! I promised myself I would practice my freehand skills. I put it off just because it was really freaking difficult! But, I felt the itch and bit the bullet because there was an upsurgence of freehand designs on all my feeds. 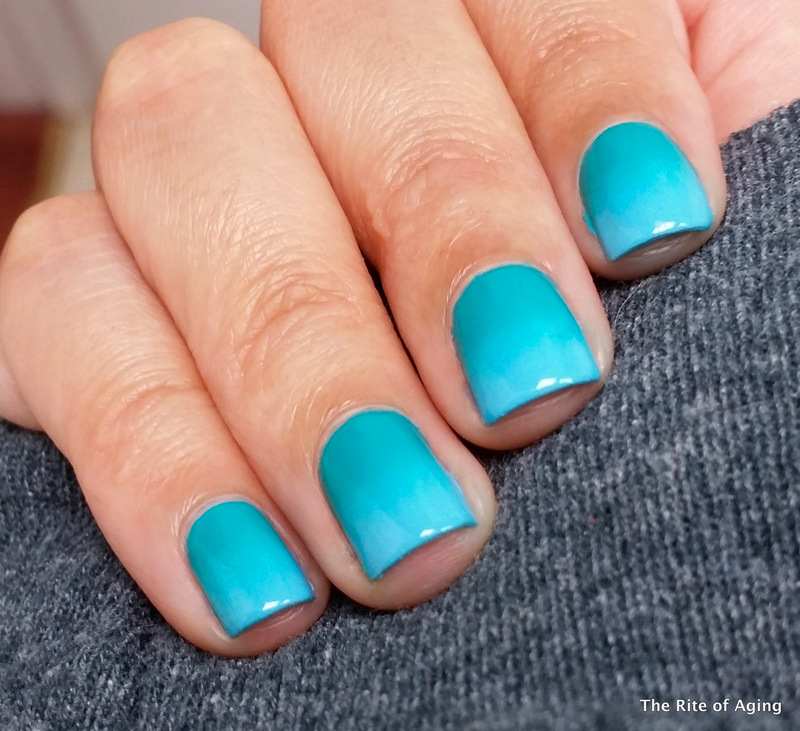 In the spirit of National Arthritis Month, the gradient is RA-friendly. THE FREEHAND, however, IS NOT. NOT. NOT. I set out only wanting to do one nail (hey, I have to start out slow) and am I glad that was it. Had I wanted to do more, I would not have been able to: I developed a severe case of the shakes. As in, my arm, all the way up to my shoulder was trembling like mad. Regardless, I am really happy with how my freehand came out! But, I’m a long way from anything too complicated! I started with a base of China Glaze UV Meant to Be. I used a makeup sponge and Barry M Cancun at the cuticles. I used acrylic paint for the accent. 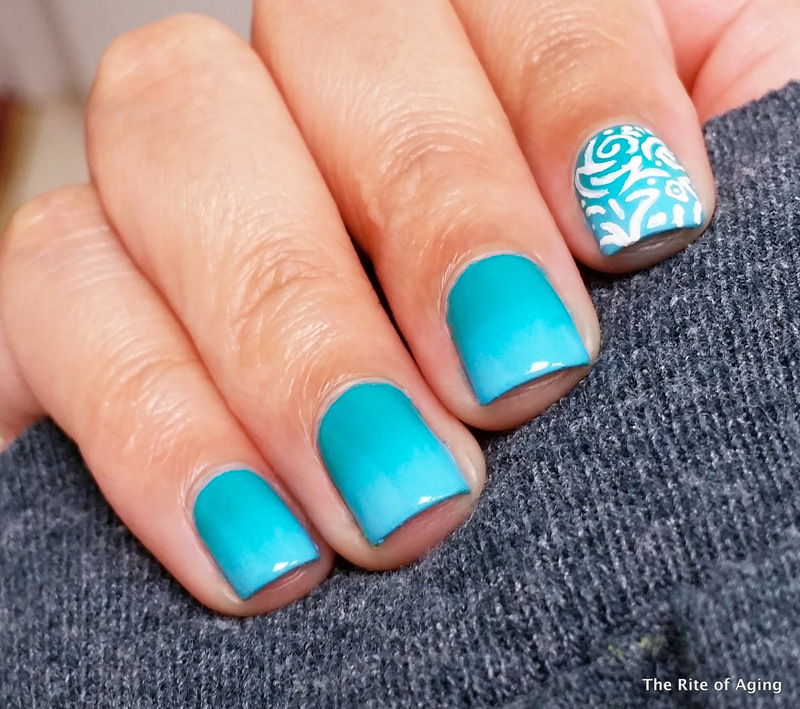 Oh that freehand is freaking gorgeous and so is your gradient! Also, your new layout is so nice!! Thank you, Jessica!! I’m glad the new layout is working out! I like the white background and simpler layout…it feels a lot more accessible! Yahs! The freehand accent is AWESOME, Monica. Thank you!!! Eee, I’m really happy with how this came out! !